I cannot believe we are already talking about the first quarter of 2019 in the past tense! That three months absolutely FLEW by! Of the transactions I have completed so far in 2019, 100% of the contracts I have written have been from Past Clients, Referrals from Past Clients, or Referrals from other Agents across North America. This makes me feel like I am trusted and respected not only by my peers, but also by those who have chosen to work with me in the past. This trust means a lot to me. I am proud to say that during this first quarter of 2019, although as you'll see, sales in the board are way down yet again this year, I can happily report that it is business as usual for myself. I don't love "tooting my own horn" but I do feel fortunate to be able to create real, tangible value for the clients who choose to work with me. But, why do people continue to refer to me, with so many options out there? One item I'd like to highlight on this report, is real, actual value. That's an extra $3,850 in my clients' pockets! The one constant in this business & market is CHANGE. If you'd like help interpreting how changes to the market, and changes to the Real Estate Business might affect your plans, or the value of your largest asset, let's chat. I'm happy to help! 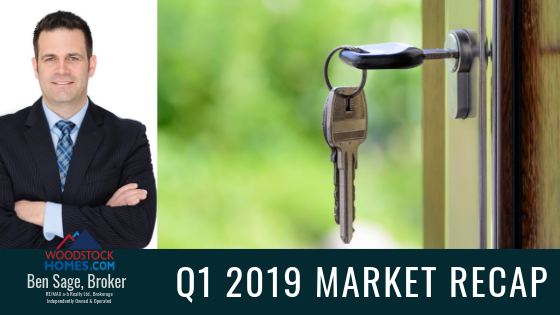 Continue reading for a recap of the Woodstock Real Estate Market Performance in Q1 2019, as reported through the WIDREB MLS®. The ultimate measure of market fundamentals is always supply and demand. In real estate, this is established by dividing the number of homes for sale, by the number of homes sold in a given time period, and determining the "absorption rate" and is expressed as a "number of months inventory." On this chart, the lower the line, the more favourable the market conditions are towards Sellers, and the Higher the line, the more favourable for Buyers. A "Balanced Market" is approximately 5 months worth of inventory (the black line). As you can see, the "sellers market" continues. It has been persistent for years, and just when it feels like we may be slipping back out of strong seller market conditions, there's another rate announcement (cutting rates) or the government does something to spur purchasing for first time buyers, reigniting the fire that is lit under Southwestern Ontario Real Estate. 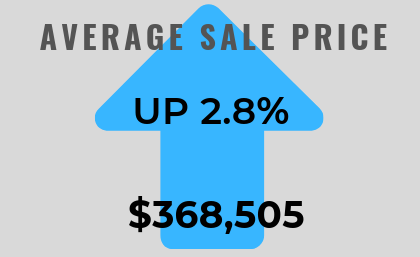 In the first quarter of 2019, the average sale price of all homes in Woodstock was up 2.8% to $368,505. 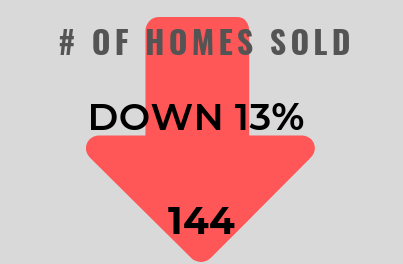 The number of homes sold was down 13% over last year, which was well down over the year prior. This number continues to drop. There are several theories behind why there are now fewer transactions happening in Woodstock, but the one I see most obviously is simply buyer fatigue. It has been a "sellers market" for so long, that buyers seem to be growing weary of the process and opting to stay in place, or rent for the time being until the market calms down. I have also seen several would-be buyers who are limited by budget or the constraints of the Mortgage "Stress test." They are limited to purchase prices that put them into a category of home that requires far too much work to be considered a reasonable starter home. 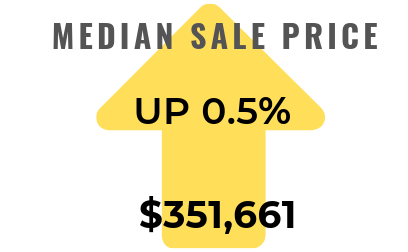 Additionally, the level of available inventory did jump up to 112 homes available at the end of March 2019, but this is so far below what is needed to bring balance into the marketplace, any "relief" found by increasing inventory is minuscule at best. The Number of homes sold continued to be sluggish, due in part to reasons mentioned above. I know there are plenty of buyers who are competing against each other to pick up properties. I did hear about with one home receiving 14 offers and selling at 121.2% of asking price. 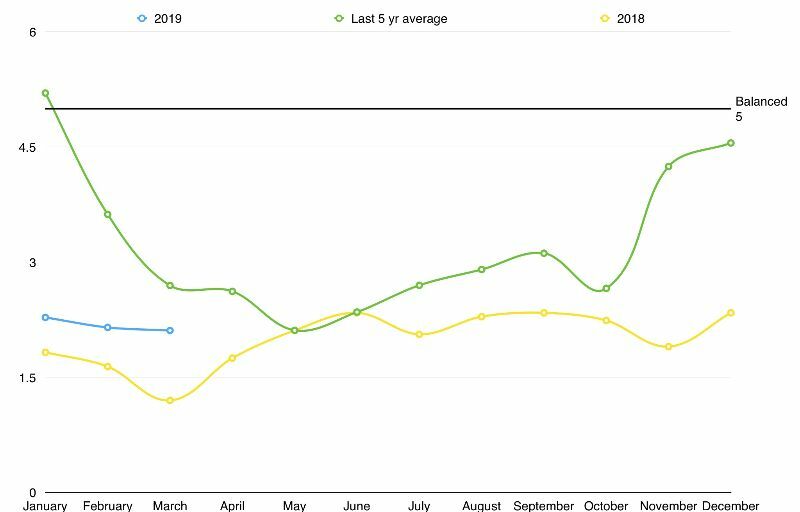 The absorption rate is just a hair over 2 months, meaning if no new properties are listed for sale, at current demand, we would run out of houses to sell in just over 2 months (2.11). This is the key indicator that determines that it is definitely still a sellers market. Predicting the way forward in Real Estate is always difficult, but for the next couple of months it looks like strong sellers conditions will prevail. Mortgage rates at the big banks have dropped and are hovering just over the 3% range for fixed terms. The Canadian Government offered some new incentives to first time buyers hoping to be able to afford a home in the current market, including Shared Equity mortgages (more details to come on this), and an increase in the Home Buyer plan using RRSP's for downpayments on first home purchases. For information about how the market is affecting YOUR value click here for a FREE desktop assessment!